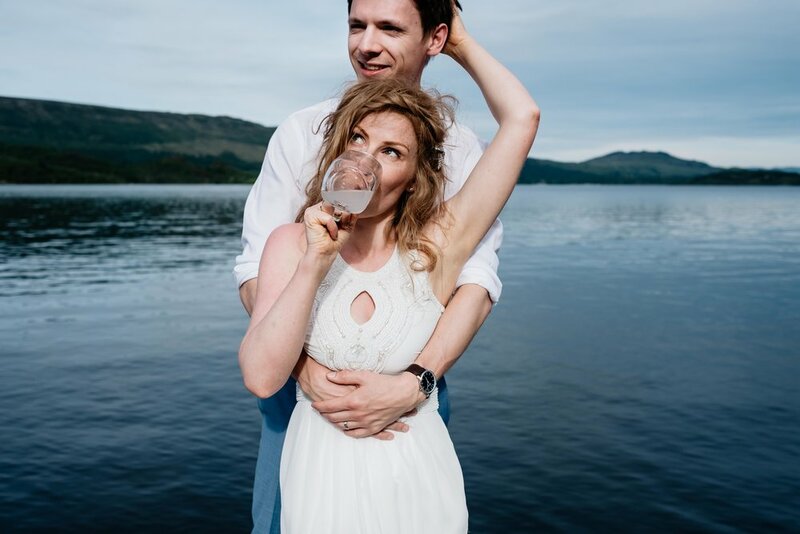 Scotland elopements are mega fabulous for many reasons. If you’re here, chances are you’ve passed the interested stage and are now fully invested in the idea. 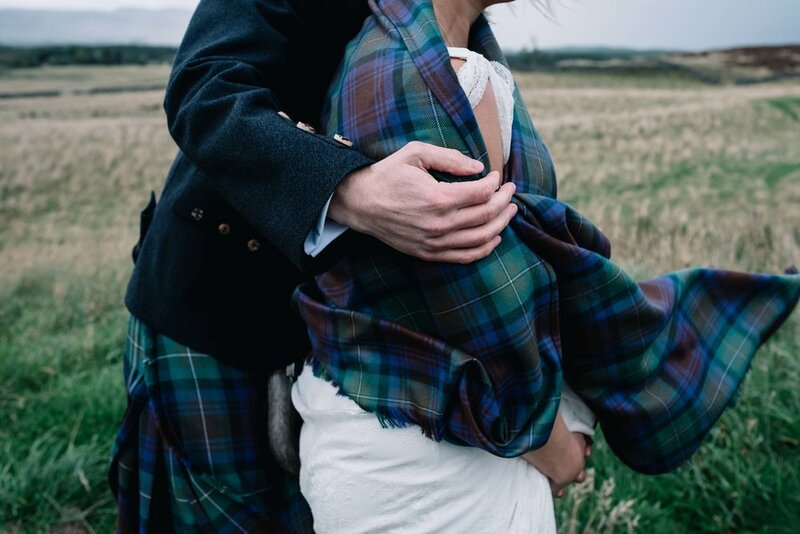 Figuring out how a Scottish elopement would actually work. Making loose plans. Perhaps you’ve already committed. Whatever point you’ve reached in the elopement planning stage, you’ve come to the right place. 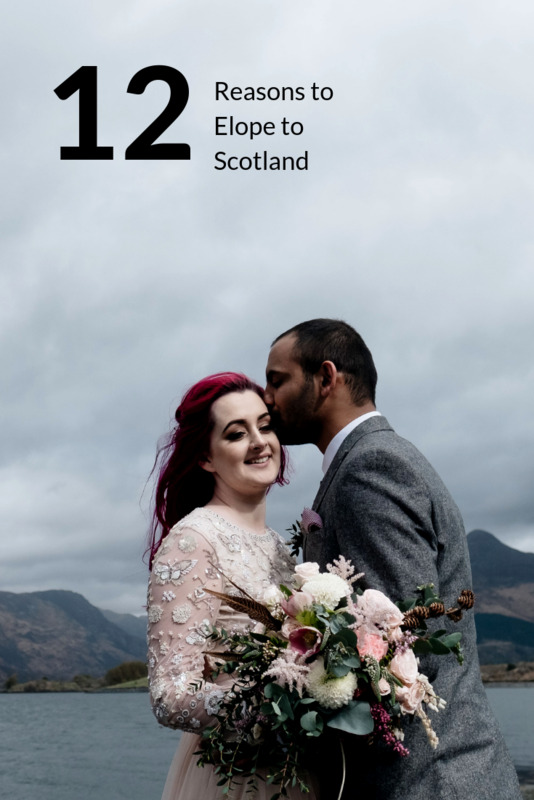 This wee guide gives you 12 solid reasons why you absolutely should go for that Scotland elopement you’re fantasising about. Yep. Anywhere. From bustling cities to remote mountainous terrain, you’re utterly spoilt for choice. Let’s now forget our Scottish castles, lochs and forrests, beaches. The options are, quite literally, endless. Now for the really cool part. Really cool. Eloping to Scotland means you’re free to marry outdoors. You’re given a massive amount of freedom when it comes to the where. Fancy a remote forrest? We have loads. Mountain top? Get your boots dusted off. Beach? We have impressive shorelines with beautiful sandy beaches. The one thing you can be certain of is your wedding being truly memorable. Double yep. Any time. This flexibility means that you can personalise everything even down to the timings. It’s kind of mind blowing when you think about it. Some couples go for sunrise ceremonies, others for sunset. A few choose night time. It’s up to you. Scotland gives you the freedom to decide your timings for your elopement. There’s three types of wedding ceremony you can chose to have for your Scotland elopement: a registrar (civil marriage), a minister of the church (religious marriage) or humanist (spiritual marriage). Whichever you choose, you’ll need two witnesses. Speak to your celebrant if you’re unsure about this. Some couples ask strangers who happen to be in the local vicinity at that moment in time. Others will ask their photographer / videographer. Whichever you choose, your celebrant will guide you with the paperwork side of things. If you’re having an intimate ceremony with only the two of you along with your celebrant, it’s worth considering styling your chosen spot. A little bit of detail can go a long way and create significant impact for your photos. There’s a few ways you can do this. Three striking, creative options are a living wall, teepee or geometric arch. Check out my Pinterest account for more inspo. Scotland has it all. It’s no wonder so many of you choose to elope here. Glasgow and Edinburgh (along with St Andrews, Aberdeen, Dundee and everywhere in between) are vibrant and exciting cities to get married in. There’s so much old architecture, interesting features as well as super welcoming people. What Scotland’s best known for is its spectacular mountains, beaches, forrests and lochs. You’re hardest decision in the whole process will be deciding where to hold your ceremony. Leaving everyone behind, leaving the stress, the unnecessary faff means that you can focus on what matters. Yourselves. There’s a tangible difference in the energy of an elopement compared to that of a big, busy wedding. Elopements are intimate. Elopements are deeply emotion filled. Many elopers to Scotland stay in the same accommodation and get ready together. It’s a wildly stress free celebration of two people’s love. There’s a high chance of this. Don’t be put off. Rainy elopements feel indescribably romantic. Just grab a brolly and make sure you have an extra layer (or two). Again, don’t be put off. Wind means movement. 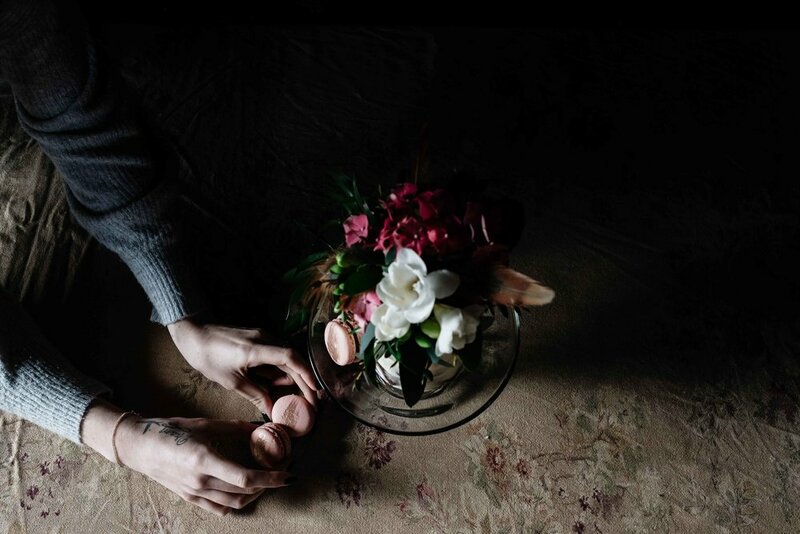 In terms of elopement photography, this is guarantees your photos will be even more impactful and, most importantly, memorable. Scotland looks hauntingly beautiful in the rain, so imagine how incredible it is when the clouds part and the sun comes out. Bring your sunglasses and suncream just incase. Another point to note is that it’s not uncommon to experience four seasons in one day. There can be rain, hail, wind and sun in the height of summer. Similarly, there can be calm blue skies in winter. 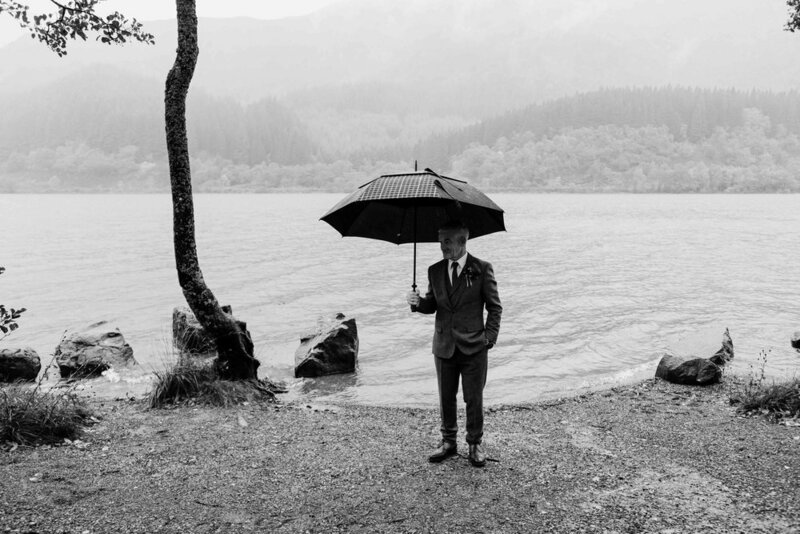 Plan for all weather conditions when eloping to Scotland. Scotland elopements appeal to many. I mean, who doesn’t love the thought of running away to marry your loved one, leaving the bells and whistles of a grand affair behind? Because of the immense diversity of landscape, vibrancy of cities and openness to accommodate unique ceremony location timings and locations, it unsurprising so many of you make it your elopement destination of choice. As a result, you’ll find there’s photographers like myself who are intimate with the elopement vibe. It’s a very different tone to a bigger wedding and booking a wedding photographer and film maker who’s comfortable with this is essential to securing awesome photographs. As for film makers, one of the best elopement film makers is Cinemate. Their epic cinematic style is perfect for the soulful elopers. Another fabulous choice is Barry of Wild Pines. His company is niche and only shoots eloping couples to Scotland. This is where it all becomes even more real. The elopement announcement. Imagine the reaction of your nearest and dearest when they receive your marriage notice. Most couples wait until their photographer gives them a couple of photos. When it’s an elopement, you can expect your photographer to send you a photo or two within 24 hours to allow you to make things public. A truly epic couples shoot based in and around the spectacular Glencoe area. A sunset session which two sweet souls with an adventurous spirit. A romantic and relaxed engagement shoot in Edinburgh where we filled an easy few hours meandering around the back streets, thumbing through records and drinking coffee.